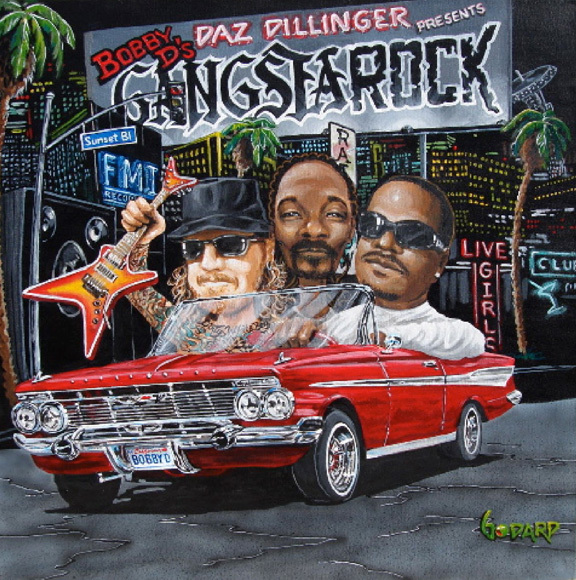 Special Gangsta Rock Edition is signed by Bobby D and Daz! Canvas is enhanced with three-color hand highlighting! This hot image was created as the cover art for Snoop Dogg's new CD! Artwork arrives ready to hang.